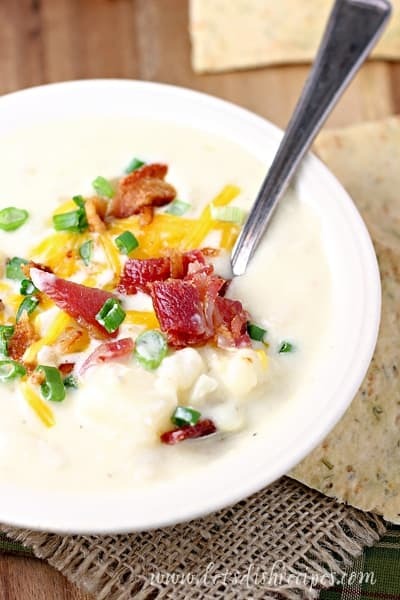 CREAM CHEESE POTATO SOUP — Cream cheese is the secret ingredient in this simple yet flavorful potato soup recipe. 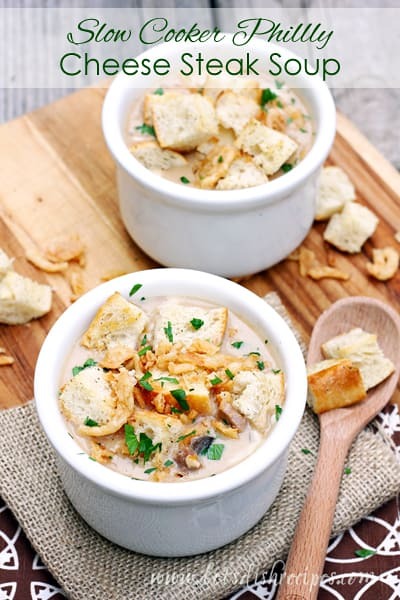 I’ve tried so many potato soup recipes over the years, I’ve lost count! But don’t be fooled by the fairly short and simple ingredient list. his Cream Cheese Potato Soup is truly the best potato soup I’ve ever made. My family wholeheartedly agrees! 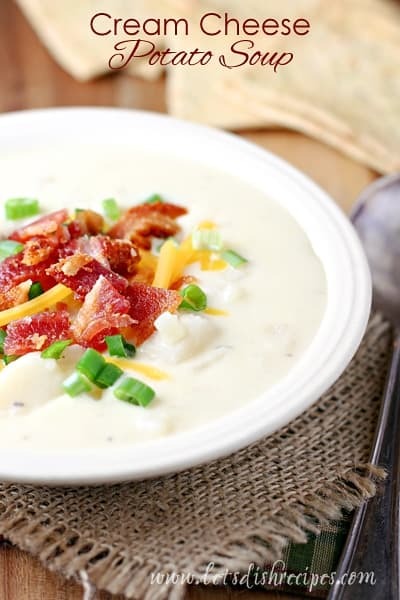 I don’t know why it never dawned on me before to add cream cheese to my potato soup, but let me tell you, it’s definitely the secret ingredient to an incredibly flavorful, creamy potato soup. This recipe is so simple, and I almost always have the ingredients on hand, which means I can whip it up any time. I know I can get dinner served in a hurry and the whole family will be satisfied, so this soup is definitely a winner in my book. Did I mention it’s all made in one pot? Which means easier clean-up too! Honestly, you just can’t go wrong here. 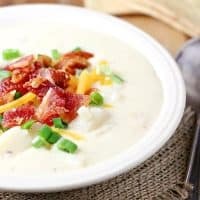 I find that most potato soups require some crumbled bacon, sliced green onion and shredded cheese to really hit the spot. And I most definitely recommend adding all of those things to this soup. But it really can stand on it’s own without all the garnishes and it’s still delicious! I use a potato masher right in the pot to smash a few of the potatoes. You don’t want to skip this step! It helps thicken the soup by releasing some of the starches from the potatoes. With cooler weather just around the corner here in Colorado, I’m already looking forward to adding this potato soup to the menu again. In fact, if things don’t start to cool down soon, I may just have to make it anyway! 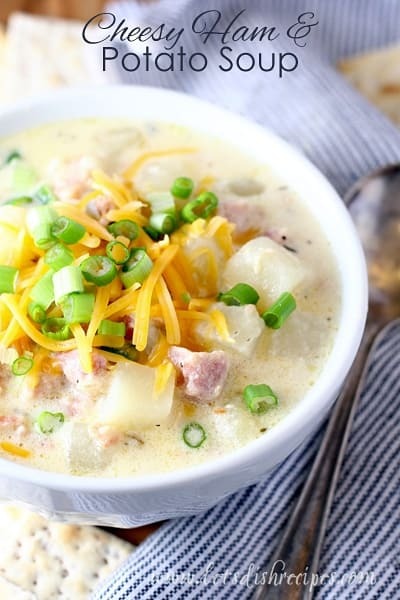 Be sure to save this Cream Cheese Potato Soup recipe to your favorite Pinterest board for later. 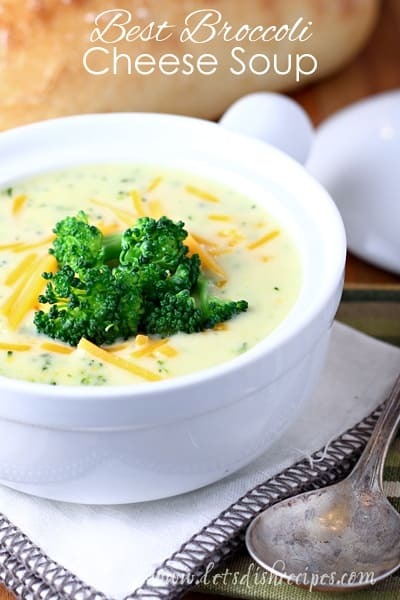 Cream cheese is the secret ingredient in this simple yet flavorful potato soup recipe. In a large dutch oven, heat butter over medium heat. Add the onions and garlic and saute until onions have softened. Stir in season salt and pepper. Add chicken broth, potatoes and bay leaves and bring to boil. Simmer until potatoes are just tender. Discard bay leaves and smash a few of the potatoes in the pot to help thicken the soup. Reduce heat to medium-low and add the cream cheese. Continue to cook, stirring frequently until cheese is melted and smooth. Serve with bacon, shredded cheese and chopped green onions. Who Dished It Up First: Adapted from Cassie Craves.